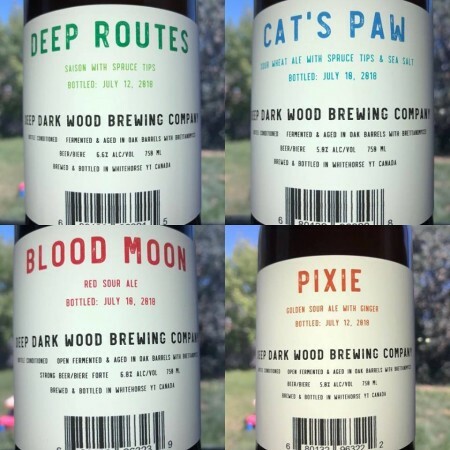 WHITEHORSE, YK – Deep Dark Wood Brewing, the Whitehorse brewery focused on oak-fermented mixed culture beers, has announced details of four upcoming releases. All four beers will be available in 750 ml bottles at the brewery (2A Collins Lane, Whitehorse), which will be open from 12:00 noon to 6:00 PM on Wednesday to Friday, and 12:00 noon to 5:00 PM on Saturday. For more details, see the Deep Dark Wood Facebook page.